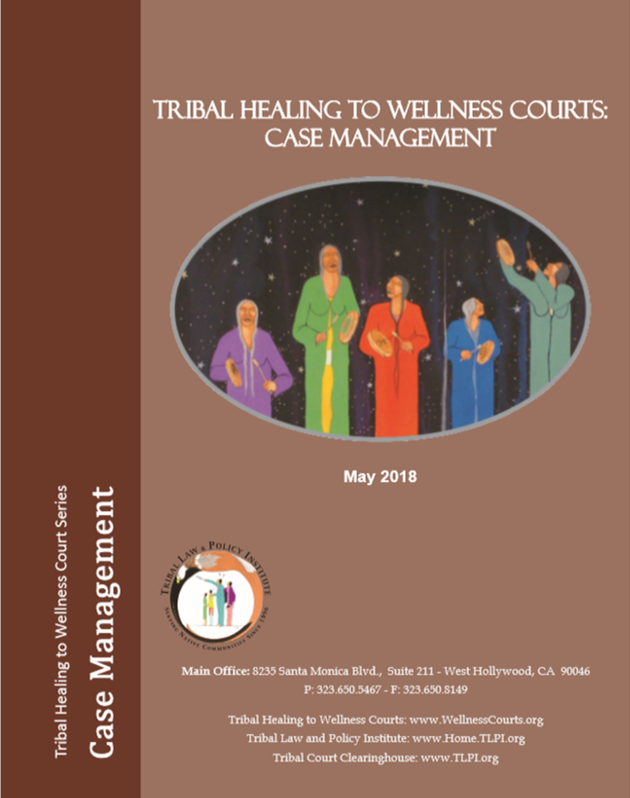 Tribal Healing to Wellness Courts: Case Management (2018), provides Wellness Courts and their staff a guide to effective case management and the case manager role. This resource discusses the drug court case management standards, the functions of case management within a Wellness Court, the models and ethics of case management, data and evaluation, and the role of case management can be functionally and ethically shared by other members of the Wellness Court team. This appendix of this publication includes models of case management, vicarious trauma, sample job descriptions, sample participant progress reports, and sample Wellness Court data values. The role of the Healing to Wellness Court differs dramatically from the adversarial trial court judge, both in mechanics and in philosophy. In Wellness Court, the judge serves as the captain or the coach of the team, focused on healing and collaboration. This publication orients and serves the Wellness Court judge while on the bench. The first section provides examples of key component performance in relation to component principles. The second section overviews key Wellness Court processes and procedures. Both sections include Bench Cards intended to serve as tools that package relevant information in an abbreviated format. 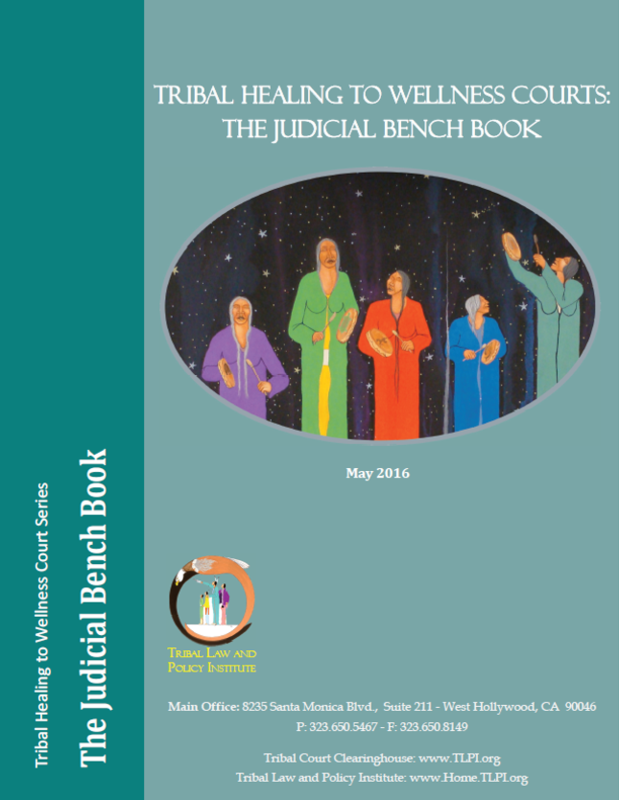 Tribal Healing to Wellness Courts: The Judge’s Bench Book (2002 draft). 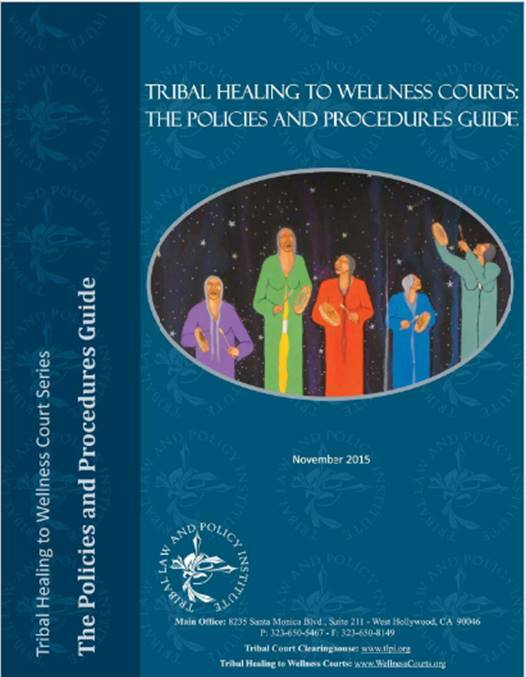 Tribal Healing to Wellness Courts: The Policies and Procedures Guide (2015), is the quintessential tool for the Healing to Wellness Court, documenting the structure and spirit of the Court. This publication provides an overview of the key considerations for what should be included in the manual, including team roles and responsibilities, phase systems, alcohol and drug testing, and statutory provisions. 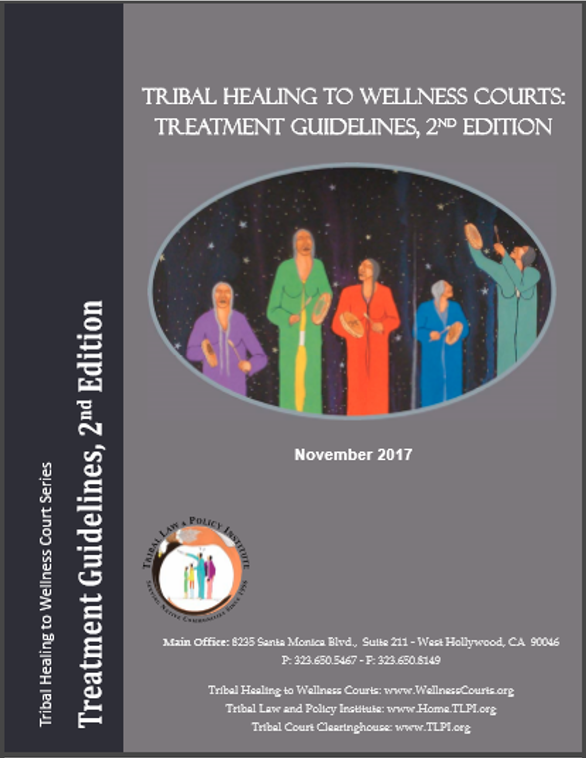 Rather than detailing one “model” manual, this publication provides excerpts from over fifteen operational manuals in order to preview the level of legal and cultural diversity that is possible within a Healing to Wellness Court. 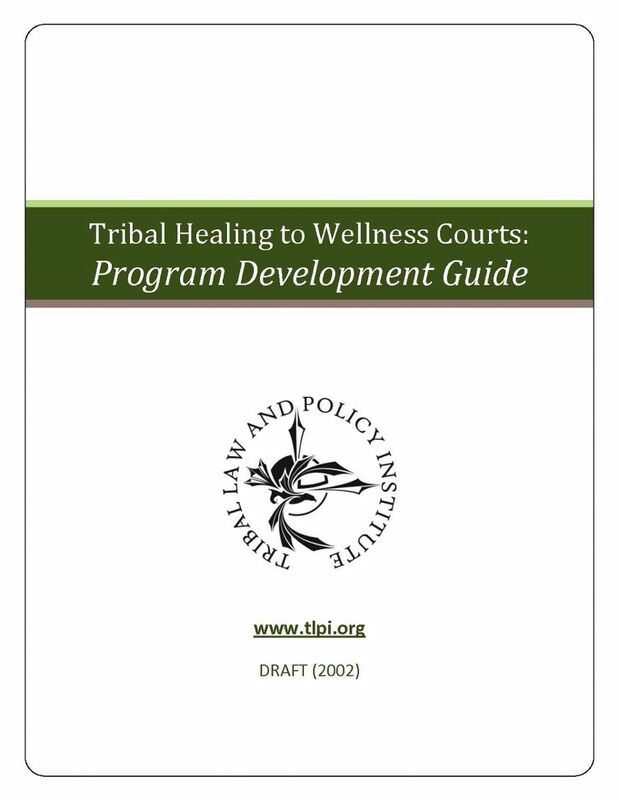 Tribal Healing to Wellness Courts: Program Development Guide (2002 Draft) provides step-by-step recommendations for design, development, and implementation of Tribal Healing to Wellness Court programs from a practical standpoint. It is designed to assist sterring committees and planning groups as they (1) use team-based approaches; (2) gain knowledge of Healing to Wellness Court concepts; (3) incorporate the ten key components; (4) help establish policies and procedures suitable to the needs of the tribal community; (5) guide the court to integrate available resources; (6) develop interagency agreements; (7) incorporate a management information system to track participants and services; and (8) identify possible problem areas. 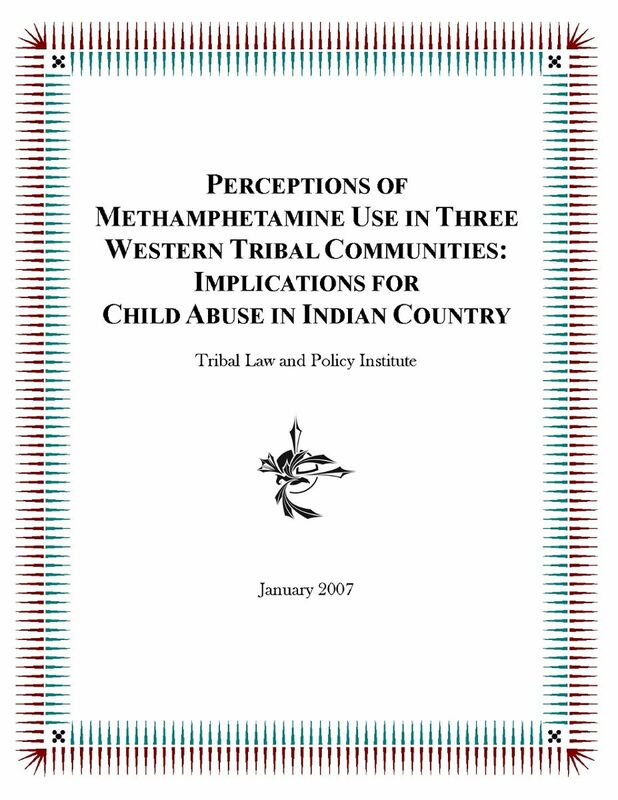 Perceptions of Methamphetamine Use in Three Western Tribal Communities: Implications for Child Abuse in Indian Country (2007) In an attempt to explore the increasing concerns raised by the emerging methamphetamine epidemic in Indian country, professionals from three Western Tribal communities were asked to complete a survey about their perceptions of meth us and implications for child abuse in the communities in which they worked. This study was funded through the Training and Technical Assistance grant that the Tribal Law and Policy Institute receives for Children’s Justice Act Partnerships in Indian Communities to assist tribes in addressing serious child abuse. The tribes and individuals that participated in the study were guaranteed anonymity due to the sensitive nature of the questions being asked. However, each Tribal Council provided permission for the surveys to be conducted within their service areas. Tribal Healing to Wellness Courts: Needs Assessment Report (2010) As part of a grant from the Bureau of Justice Assistance (BJA) to provide training and technical assistance for Tribal Healing to Wellness Courts, the Tribal Law and Policy Institute (TLPI) sent out a Needs Assessment Survey in November of 2009. The survey was sent to over 90 tribes that either currently have an active Wellness Court, or have had a Wellness Court at some time in the past but it is no longer functioning. Attention was given to ensure that the current 13 BJA Wellness Court grantees completed the survey. The primary purpose of the survey was to gain insight into the most pressing needs among active Wellness Courts, as well as to determine the needs of courts that are no longer functioning, so that TLPI could focus our efforts on the most relevant training and technical assistance. 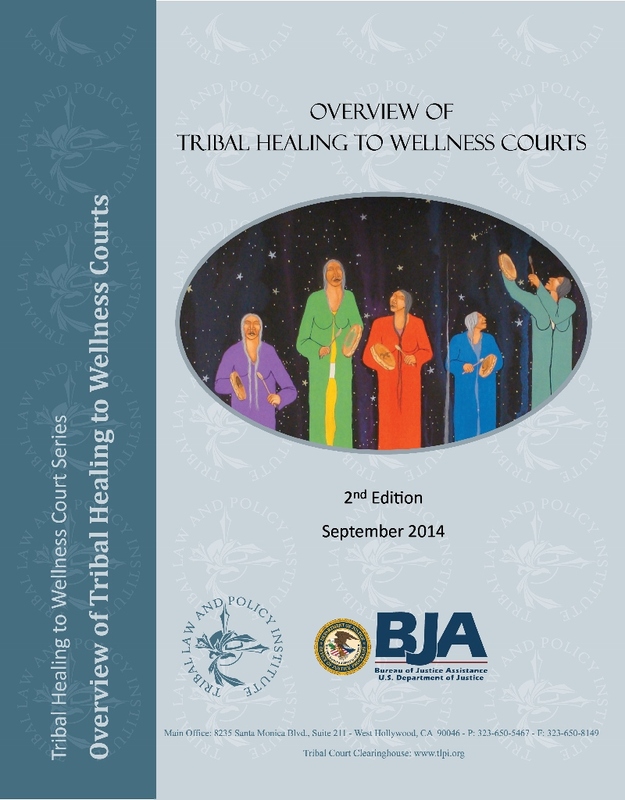 This report summarizes the results of this survey and provides an analysis of the implications for training and technical assistance, BJA, and Tribal Healing to Wellness Courts. Healing to Wellness Courts: Therapeutic Jurisprudence, Joseph Thomas Flies-Away & Carrie E. Garrow, 2013 Mich St. L. Rev. 403 (2013). This law review article by two experienced Healing to Wellness Court Judges and technical assistance providers explores Healing to Wellness Courts as a less adversarial approach concerned with healing (treatment), personal responsibility, and accountability. 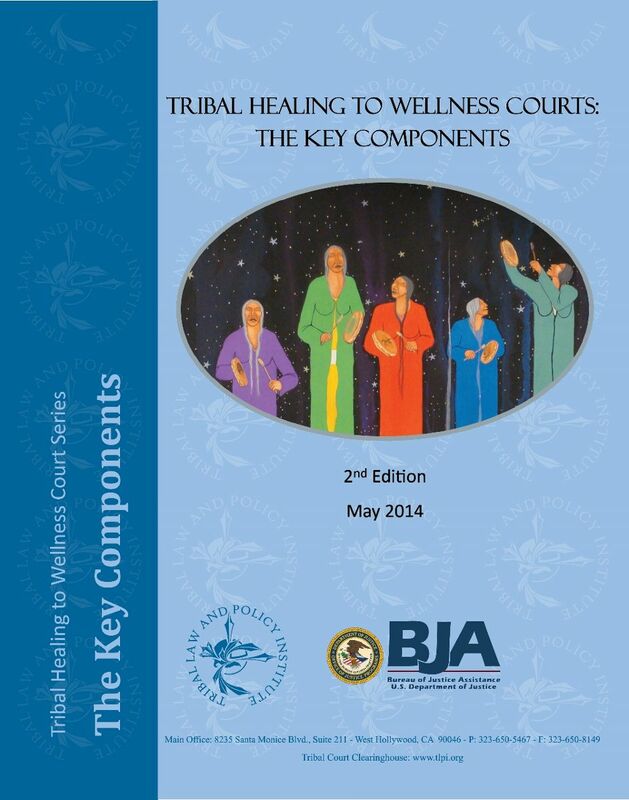 Part I defines Healing to Wellness Courts as tribal renditions of drug courts and describes the connection to therapeutic justice. Part II describes and discusses plus (+) spirituality. Part III depicts the correlation between Healing to Wellness Courts and human rights. Finally, Part IV contends that tribal governments and the federal government must support, build, and systematically institutionalize Healing to Wellness Courts.